(This article was written by Patrice Apodaca, a writer for the Daily Pilot, Newport Beach). Shivering cold, soaked to the skin and numb with exhaustion, Lucas made the excruciating final push to reach the 13,455-foot summit, then swore he’d never do it again. But, sure enough, after several months, the memories of his aching body receded. Propelled by the strength of his brotherly devotion, the 17-year-old Newport Beach resident is preparing to climb Mt. Kinabalu on the island of Borneo inMalaysia once again to promote awareness of the disease that has robbed his sibling of a normal life. Lucas is the younger brother of Dusty Brandom, a remarkable young man whose battle with Duchenne muscular dystrophy, an incurable degenerative disease that afflicts one in 3,500 boys, has been previously chronicled in this column (“Dusty’s road is winding but rewarding,” June 17, and “Dusty continues on his path,” Nov. 6). “Some people could get angry, but at the same time you could look at it as a gift,” he said. “People can learn a lot from the disease, just about life. People with Duchenne don’t really have egos. They’re non-judging. Duchenne has also influenced how Dusty and his siblings relate to each other. There’s no competition or discord among them, and they are highly protective of each other. I don’t doubt it. To an outside observer, the Brandom kids appear to have a worldly wisdom and quiet intensity that’s unusual to have at their ages. 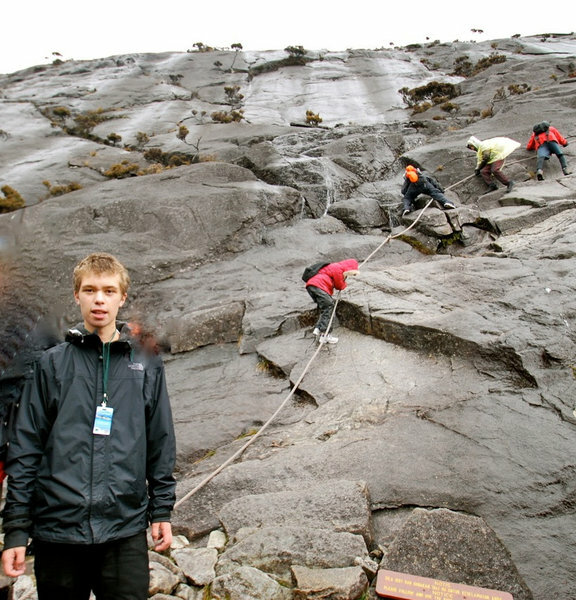 The nonprofit also organized last summer’s mountain climbing expedition to generate awareness of Duchenne. He thinks it’s “really cool” that Lucas will once again trek to the mountaintop on his behalf. But that was then. Now, as Lucas looks ahead to his second attempt to scale a mountain for all the boys afflicted by Duchenne, he knows it will be Dusty he’ll be thinking about. “He motivates me to climb,” he said. For more information on Coalition Duchenne and the Mt. 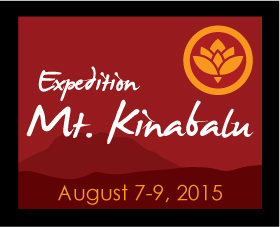 Kinabalu expedition, visithttp://www.coalitionduchenne.org.